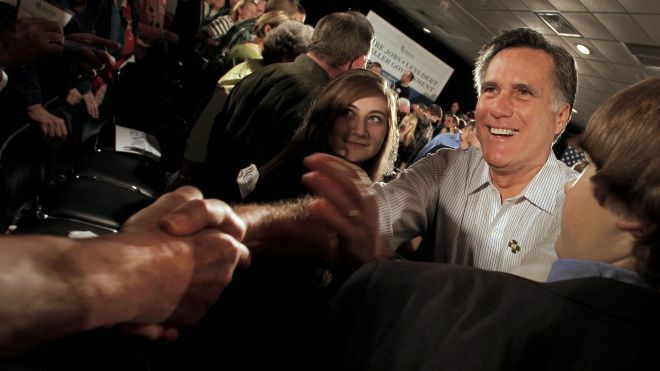 Republican presidential candidate Mitt Romney’s overseas trip has the potential to be the defining moment of the 2012 presidential campaign. People are hurting in America. Mitt Romney wants to talk about economics, President Obama does not. In fact, the president’s recent attacks on Romney have been designed to do just that –get the conversation as far away as possible from the current economic situation in America. There’s no question that President Obama’s campaign has been hurt by his “you didn’t build that” remark and it has the potential to be the “Michael Dukakis moment” of this campaign. Romney’s trip comes at a critical time in the campaign. It’s an opportunity for him to show that a Romney presidency would stand by America’s greatest allies and that the Free World would have a leader who has a fundamental understanding of economics, against a backdrop of a Europe on the brink of financial collapse. Romney’s first stop in Great Britain has the potential to convey two very strong messages. The first is that he understands the “unique relationship” between the United States and one of its greatest allies. This, in sharp contrast to President Obama who, at the outset of his presidency, had the bust of Winston Churchill removed from the Oval Office and returned to the Brits. Romney’s trip to Britain has the potential to show the real difference between both presidential candidates and how they view America’s greatest ally. Secondly, with the start of the 2012 Olympics in London, the Great Britain trip has the potential to remind people of Romney’s management skills and the successful role he played in turning around the 2002 Winter Olympics in Salt Lake City. Romney’s trip to Israel is another opportunity to show that a Romney presidency would stand by its friends in the international community and not throw key allies under the bus. Relations between the Obama administration and Israel have been “frosty” at best. Standing firm and tall with Israel will also help Romney shore up support from Evangelical Christians who, in recent presidential campaigns, have become the “foot soldiers” of the conservative m ovement. The trip to Poland represents the greatest opportunity for Romney to put economics on center stage for the U.S. electorate and the world. Poland has been the one bright spot during the Euro Zone’s debt crisis. With many European economies teetering and others, such as Greece, on the “almost weekly” verge of collapse, Poland’s initiatives to encourage private sector business development have enabled Poland to enjoy the fastest economic growth rate in the entire EU. There is talk that Romney may meet with former Polish president and Nobel Prize Winner Lech Walesa. If the Romney campaign pulls this off, it will be a real coup. Poland is probably the best example of a successful transition from communism to a free enterprise economy, and Lech Walesa is the symbol of that success. The trip to Poland is Romney’s chance to underscore that free market principles do work and that more government is not the answer to our economic plight. A lot is riding on Romney’s international trip. The Obama campaign is on the defense and in damage control mode over the fallout from his “you didn’t build that” remark. This is Romney’s moment to show he will be a strong leader who stands by America’s allies and that he possesses the management skills and the understanding of economics and free market principles needed at home and abroad. A lot is riding on this trip. It could be the defining moment of the campaign.